Even the most savvy HR teams running best-in-class systems like Workday struggle to consistently produce reliable and relevant data analysis and reports. The key issue is the lack of data integration. These data silos inhibit the creation of end-to-end reports, analytics, and data-driven HR. 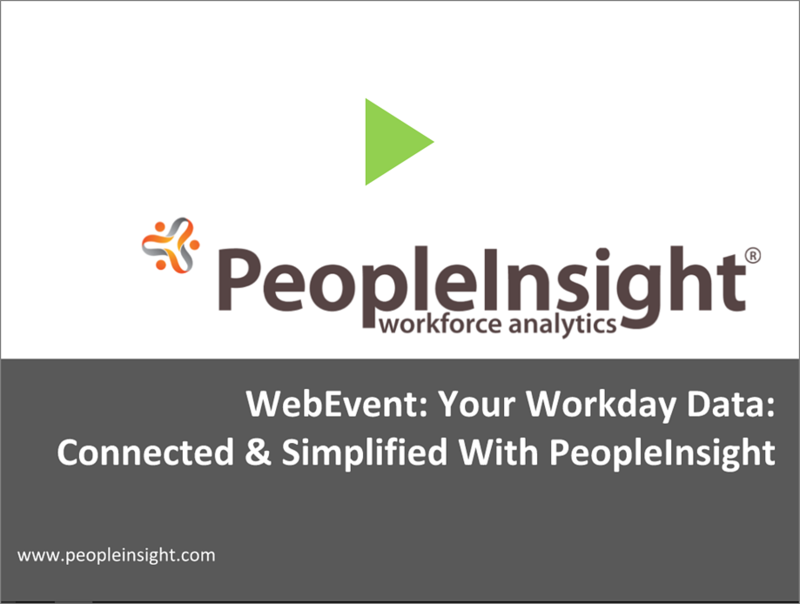 Many mid-market companies running Workday are leveraging PeopleInsight to overcome siloed, inflexible, & expensive HR reporting and analytics. At PeopleInsight, we do the behind-the-scenes heavy lifting, data preparation and reporting, so you can focus your time where it matters - using your analytics to drive smart decisions. Prefer to see our presentation slides? You can access them HERE.